The Shimano Ultegra ST-6800 STI Set provide tactile feedback to the cyclist that the gear shift is completed. The Ultegra carbon levers, powerful braking system and 11-speed shifting offers a high level of performance. Precision-engineered Ultegra STI carbon levers offer powerful braking and effortless 11-speed shifting, so they are perfect for enthusiast or competitive riders. The internal shift cable routing offers a slick and clean look. - A.D. I've tested various groupsets. Now I can safely say that the Ultegra 6800 shifters are equal Dura Ace 9100. 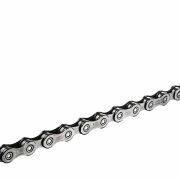 Fast-efficient shifting without any interruption even at very high speeds. Otherwise - I'm a very demanding and aggressive rider. Upgraded the old 10 speed. I use dura ace and ultegra on various bikes. Have to say the 10 speed levers were good but the 11 are a real improvement. Very nicely made and work super smoothly. These levers are amazing value and not much heavier than the significantly more costly dura ace. My set came complete with full cable set and boxed. There was a good discount that made this purchase very sweet and the conversion to 11 affordable. Excellent. Very nice looking crankset. Value for your money. Nice smooth gear changers. Would recommend these highly. I have them on my first road bike and I don't have any complain. Because of their shape, the hand rests nicely on the hoods. 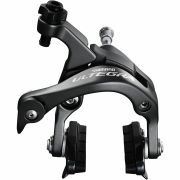 I recommend this product first time I used ultegra shifters in my bike this is a fantastic upgrade 11speed components. Excellent shifting 100 percent satisfied. 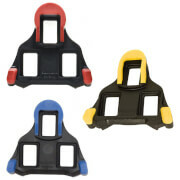 These Ultegra 6800 STI levers are a fantastic piece of kit. The ease of fitment and use are amazing. I have replaced my old 105 set up and the change is unbelievable. The upgrade was worth every penny especially as i purchased them from Probikekit at a great price!